Most research into leadership has presented leaders as heroic, charismatic and transformational ‘visionaries’. The leader, whether in business, politics or any other field, is the most important factor in determining whether organizations succeed or fail. Indeed, despite the fundamental mistakes which have, arguably, directly led to global economic recession, it is often still taken for granted that transformational leadership is a good thing, and that leaders should have much more power than followers to decide what needs to be done. This provocative and hugely important book offers a rare critical perspective in the field of leadership studies. 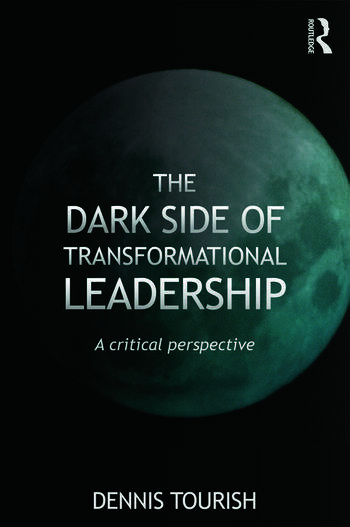 Concluding with a new approach that offers an alternative to the dominant transformational model, The Dark Side of Transformational Leadership will be an invaluable text for academics interested in leadership, students on leadership courses requiring a more critical perspective, and anyone concerned with how people lead people, and the lessons we can learn. Dennis Tourish is a Professor of Leadership and Organization Studies at Royal Holloway, University of London. He has published seven previous books on leadership and organizational communication and serves on the editorial boards of several journals, including Human Relations and Management Communication Quarterly, where he was previously a co-editor. He is a Fellow of the Leadership Trust Foundation and a co-editor of the journal Leadership.